Malaysia's Gunung Mulu National Park is home to some of Southeast Asia's most stunning sights and wildest adventures. Declared a UNESCO World Heritage Site in 2005, Gunung Mulu offers a wide variety of unique spectacles and landscapes. From its famous Pinnacles to its mystical caves, Gunung Mulu contains 17 different vegetation zones, a mountain range, and the historical Headhunter's Trail, along with a massive variety of animal and plant life. It is certainly a sight worth leaving home for. Visiting a park in another country requires considerable forethought. Make sure you consider the necessities in terms of extra documentation, possible health issues, and different modes of travel. Visitors have several ways of getting to the park, varying in levels of difficulty and adventure. Pick the one that best fits you. Flying into the park is an extraordinary experience. View the park's magnificent landscape from above, and land feeling like you're in the heart of the jungle (which you are). Malaysian Airlines runs regular flights to Mulu Airport (MZV), just outside the park's boundary. From there, you can walk, take a shuttle, or even go by boat into the park. Flights from Miri Airport (MYY), the main portal onto the island where Gunung Mulu is located, run about $130. The trail follows the same path that Kayan headhunting parties used to launch raids on the people of the Limbang area. Today, it is a peaceful hike that Lonely Planet calls "physically undemanding." It is a combination of a hike and passage on the river. Several private companies offer guided tours, and it is also possible to do it unguided. The tour costs about 2700 Malaysian Ringgit (MYR), or about $670 US per person. Before the construction of the airport, the only way to reach the park was by river. Follow this same path today by catching a riverboat at Miri (100 km away from the park) and then travel by charter boat, which may require multiple connections. The entire trip can take one or even several days. Because this route requires multiple connections and is not a tour operated by a company, there is little pricing information available. Some bloggers have mentioned prices of between 40 and 100 MYR for each leg of the trip. Travelers from the US (as well as Canada, the UK, Australia and several other countries) do not need a visa to enter Malaysia, provided it is for tourism purposes and will be for a stay of fewer than ninety days. However, you must purchase a ticket to enter the park. A five-day pass for a non-Malaysian adult costs 30 MYR (about $7.50 US). A pass for children between 7 and 18 costs 10 MYR ($2.50 US), and children under 7 enter free of charge. Many activities, such as caving and hiking, require hiring a licensed tour guide. Be aware that these can sometimes book out far in advance. More information about staying healthy and safe while in Malaysia can be found on the CDC's website. Parks can vary in the facilities that they offer, especially in foreign countries. Here is what Gunung Mulu National Park provides. Camping is not allowed in any area of the park, however Lonely Planet advises that some guest houses right outside the park allow visitors to pitch tents on their grounds. There is a range of accommodation to choose from in and around Gunung Mulu National Park. The park boasts everything from dormitories (53 MYR or $13 US per person per night) to long houses (213-319 MYR or $53-79 US for 1-4 people) and deluxe garden bungalows (258-347 MYR or $64-86 US for 1-4 people). Based on ratings and reviews on TripAdvisor, visitors have had an overwhelmingly positive experience staying in the park's accommodations. Other options include a five-star resort and spa five minutes from the park, or an informal homestay or guest house just outside the boundaries of the park. While there is a cafe in the park's headquarters, there is not much availability of food within the park. What is available is expensive. It is suggested that you pack in most of your own food. If you'd like a cheaper cooked meal, venture outside the park where more affordable restaurants are located. If you are bringing your own food, be sure to bring your own pot for cooking as facilities can be limited. There is Wi-Fi available at the park's headquarters for a daily fee on a per-device basis. While you might not be able to stream the latest NFL game, you can certainly check your email. The most popular activities in Gunung Mulu National Park showcase its natural beauty. A full list of activities, including prices and booking info, can be found on the park's website. Be aware that some of the activities may be booked out well in advance, so plan your trip before you get there to avoid disappointment. One of the most spectacular experiences in Gunung Mulu is the exploration of its many caves. From beginner to advanced level tours (visitors must qualify for advanced tours first), Gunung Mulu offers you the opportunity to dive into the heart of the earth and see sights unlike any other. See crystalline underwater rivers in Clearwater cave, listen to the stories behind the Racer cave as you explore its multifaceted caverns, see the stalactites of the family-friendly Lagang cave, or brave the advanced-level Clearwater Connection. See the park's website for a list of caving tours. Depending on their length and level of difficulty, the price of cave tours ranges from 30 to 280 MYR ($7.50-70.00 US). Experience the world's longest tree-based pathway on this guided hike through the sky. 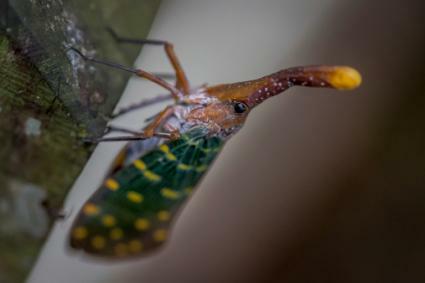 Find yourself at eye level with birds and other wildlife, and experience Gunung Mulu's unique ecosystem from another angle. The cost is 20 MYR ($5 US). There are a variety of self-led and guided hikes available. Some self-guided hikes include the Mulu Botanical Heritage Trail, the Paku Valley Loop, Kenyalang Loop, and Long Langsat Riverwalk. Self-guided hikes have no fee. The Pinnacles are unique limestone structures that are seen nowhere else on Earth. Created by water erosion over hundreds of years, the Pinnacles tower up to 50 meters (164 feet) into the air, jutting out of the earth like giant knives. The effect is a forest of giant stone needles. They are a spectacular, awe-inspiring sight. Take a 3-day, 2-night tour to see the Pinnacles. One reviewer on TripAdvisor describes the hike to the Pinnacles as "a tough challenging hike but it was worth the view... no words can describe the experience." 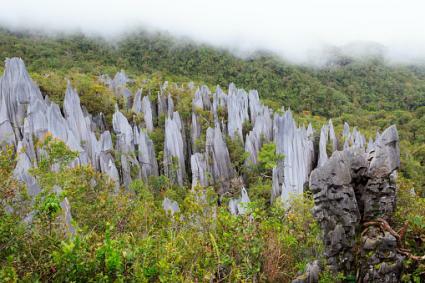 The fee for the guided Pinnacles hike is 400 MYR ($100 US). Summit the park's namesake on a 4-day trek through the jungle and into the sky. Reach the mountain's summit at 2,377 meters (7,800 feet) and behold the entire park beneath you. The park's website notes that this is one of the most difficult activities the park has to offer, as it requires a lot of climbing. For those willing to take on the challenge, it's well worth it. The Summit is the most expensive tour at 500 MYR ($125 US) per person. This trek is aptly named. Walk through the mystical deer cave to reach an enchanted valley surrounded by limestone. Return in time to watch the bat exodus at night. This tour costs 140 MYR ($35 US) per person. See exotic birds and other wildlife from this 30 meter (98 ft) tower. No booking is required for this activity and it's only a ten-minute walk from the park headquarters. There is no cost to see the Tree Top Tower. A two-hour guided walk at night allows you to see the abundant nocturnal activity of the park. If you inform the office beforehand, you can also self-guide your own nighttime walking tour. You are likely to see an abundance of nocturnal wildlife, insects, and reptiles. There are even luminescent fungi. Because the walk is on boardwalks, there is no great danger of tripping in the dark. The cost is 20 MYR ($5 US). Overall, people are enchanted with the park. Gunung Mulu has a 4.5 star rating on TripAdvisor. People describe it as "breathtakingly beautiful," "amazing," and "a wonderful experience." 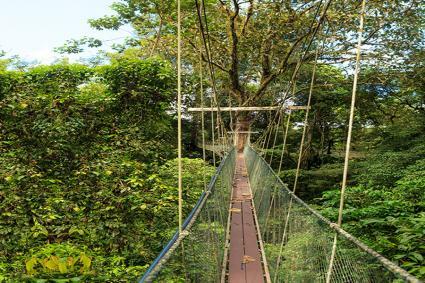 The Telegraph calls it "one of the most spectacular rainforests on earth." Reviewers generally liked the guides, though several noted they wished they had talked more, which may be due to cultural reasons. Robin Hanbury-Tenison of The Telegraph might disagree, saying that "the enthusiasm and constant cheerfulness" of the guides was one of the best things about the trip. It rains a lot in Gunung Mulu, though that is to be expected in a rainforest. Going in the summer months (high season) may lead to a drier (but not completely dry) trip. A common piece of advice from visitors is to leave plenty of time between your flight out of Gunung Mulu and your next flight, as local flights are often delayed due to weather conditions. Other reviewers noted that the park is expensive, which is in part due to the necessity of hiring guides for most of the activities and of paying for accommodations rather than camping. Most of the reviewers mentioned the caves as one of the highlights of their experience, and magazines have agreed. 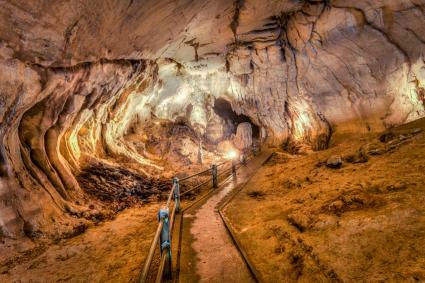 Travel and Leisure included Gunung Mulu's caves in its list of the world's coolest caves and the Smithsonian included it in its list of five amazing caves to visit. Surrounding yourself in the unique beauty of one of the last virgin forests in Southeast Asia is a once in a lifetime experience. 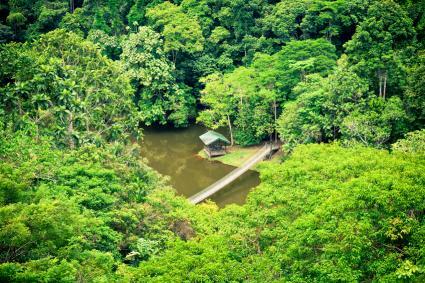 Pack up your essentials, grab a plane ticket, and dive into the wonderland that is Gunung Mulu National Park.